I have a confession: I'm not a fan of Dark Souls. I don't know what it was about the action RPG that never gripped me, but I never found enjoyment in playing a game that was created mainly just to torture it's audience with a ridiculous difficulty level and also allowed players to be griefed by others throughout their journey. I couldn't wrap my head around it and, thus, I never finished any of the Dark Souls, Demon Souls, etc. It's disappointing, because I know that they're good games all around. When I took on the challenge of Nioh, I was worried that I was running head first into the same issues that turned me off to Dark Souls. I can happily say that I was worried about nothing, because Nioh is a wonderful game that borrows all the elements I enjoy with action RPGs while coupling it with a story that kept me interested. 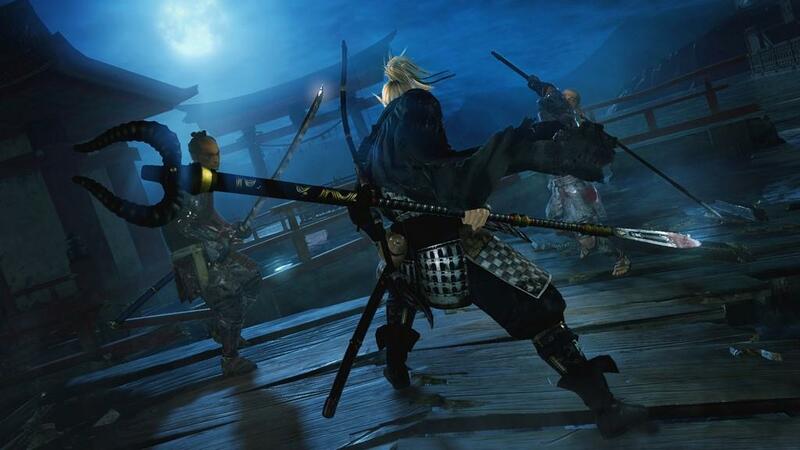 Nioh tells a story that is loosely based upon the tale of the first western samurai, William Adams, while blending in supernatural elements that give the game a fantasy feel. The game itself almost exclusively takes place in a war-torn Japan that is struggling for survival while warlords try to seize control of the country. Your character, appropriately named William, breaks out of the Tower of London and heads to Japan to do battle. The opening mission acts as a tutorial, though an in-depth tutorial exists immediately after defeating the opening mission. I cannot stress enough how important it is to go through every tutorial in this game because it's too easy to miss an important feature, ability, or process to strengthening William and make him an instrument of destruction. William has multiple weapons to pick up along his battles, but the player chooses his specialties. There are simple choices, such as a single sword, axe, or spear. However, sometimes the simple choices just aren't enough to sate that thirst for violence. Nioh offers more fun options such as dual blades or a freaking kusarigama! For those who don't know what a kusarigama is, let me paint you a picture: Take a sickle, an ordinary sickle on a piece of wood. Now, with that sickle in hand, attach a twenty foot chain to it and throw it where you want things to get cut. How cool is that to have in your arsenal? I'm not telling you that you need to go with one weapon or another, but you get to pick two classes and not picking the kusarigama as one of your specialties is just upsetting. William also gets the opportunity to use ranged weapons such as longbows or rifles. Now, don't go thinking that this is some bizarre world where machine guns get introduced into feudal Japan. It's the 1600s in this game, so think gigantic muskets that take forever to reload one shot. Use the shots wisely, but they definitely do great damage from long range. The western samurai not only gets to use weapons of various varieties, but this is a fantasy story with supernatural events happening, so of course William gets to use magic. Most of these spells are aimed at strengthening the weapon currently armed, but can be used separately depending on the level reached. Adding a poison element to a weapon triggers the ability to cause damage over time to targets, which can be incredibly useful in boss battles that are designed to frustrate and humiliate you (more on those later) while throwing fire at regular enemies is about as fun as it sounds in a video game. The opening mission in the Tower of London was fun enough to keep me engaged while learning how to utilize the fighting system, which utilizes a "stance" system designed to give the player full control over how to proceed. It's easiest to explain it with swords, so let's imagine that you're playing as William and are using a single blade. A low stance keeps the sword below the waist in William's hands and allows for quick strike attacks. These swipes do lower damage, but can land more hits before the stamina bar hits zero. The mid stance is a balanced attack, offering good blocking and damage all around. The high stance is meant to do big damage but sacrifices speed and defense in order to do so. It's easy enough to switch between these stances depending on the situation, and I can't stress enough to learn what stance works best in specific situations or else you'll end up dying far more than you need to. Speaking of dying, you're going to do it so don't think you're going to charge into this game being a veteran of all Dark Souls games thinking this is a walk in the park. 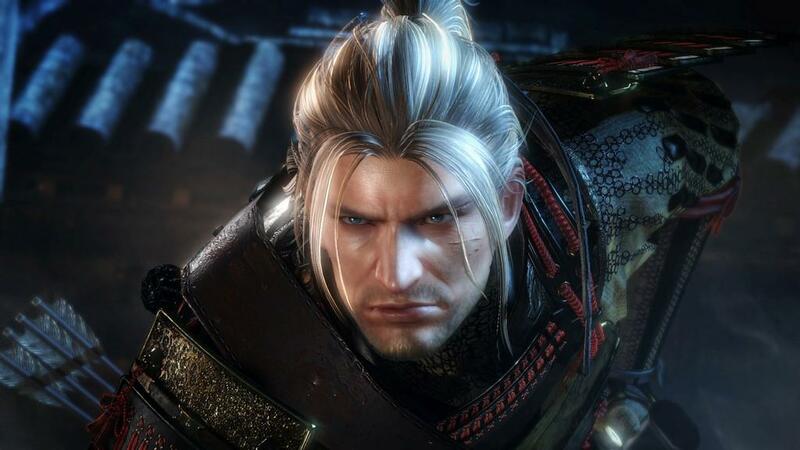 Nioh is hard, and it's meant to be that way just like Dark Souls. Team Ninja channeled their old days when they had Ninja Gaiden out on the Xbox and comics were made about the game being so difficult that people who watched you play it were dying with you. 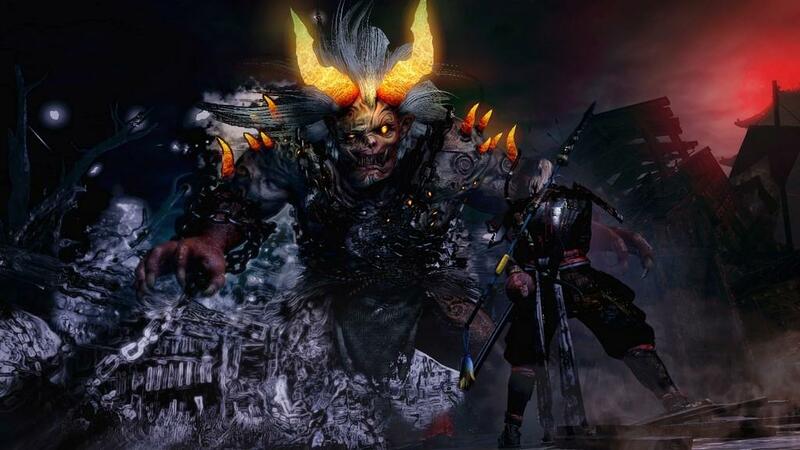 Early on, I think Nioh is a bit more forgiving than Dark Souls or even Bloodborne, but it's still stupidly hard and offers plenty of extra challenges such as Revenant graves to remind you that even if you're overpowered, this game can and still will kill your character deader than roadkill. Building upon that, if you manage to find the regular adventuring easy, the bosses are pretty much great equalizers and will bring you back down to earth. I spent many hours just trying to kill the second boss before the game could really open up to me, so much so that I found myself doing the old school NES controller throw. Please don't try this at home because PS4 controllers, while solid, are not nearly as indestructible as those old controllers. Leveling up in Nioh feels like an RPG, and that always makes me happy being a fan of fantasy series that utilize some form of this system. Experience is earned throughout the game in the form of Amrita, and it took me awhile to learn how to actually use it properly. The leveling is done simply by earning enough XP to earn a skill point that can boost life, strength, endurance, and other aspects. The trick to this is that each one of these skills has a specialty attached to it that is meant for a specific weapon, so a player has to take that into consideration if they feel they're lacking in one aspect but want to max out damage on a weapon that doesn't match up. Going a step further, each weapon picked up has a familiarity scale with it that can be filled. Doing so raises the damage of that weapon and it can only be filled by mowing down enemies. Some don't take long at all, perhaps as little as just half a stage but others can take much longer to build up. The payoff is worth it, however, because getting an ultra rare weapon that does big damage is hard to let go of. Besides the difficulty level being somewhere between "dodging traffic on crutches" and "trying to fly without wings" on the higher levels, I think the only thing that truly frustrated me with the game was, even after the tutorials, I still didn't fully grasp the leveling system and how it was broken up into the character skills, weaponry, and magic. By the time I had hit the second boss that tortured me for hours on end, I had yet to put any points into my magical skills. Once I figured out that I had practically handicapped myself by not taking advantage of this, I was able to push through and get to the true start of the game past the opening missions. This was more than likely just an oversight and doesn't hit the overall end product that hard, but figuring this out early in the game is vital to having a great experience. 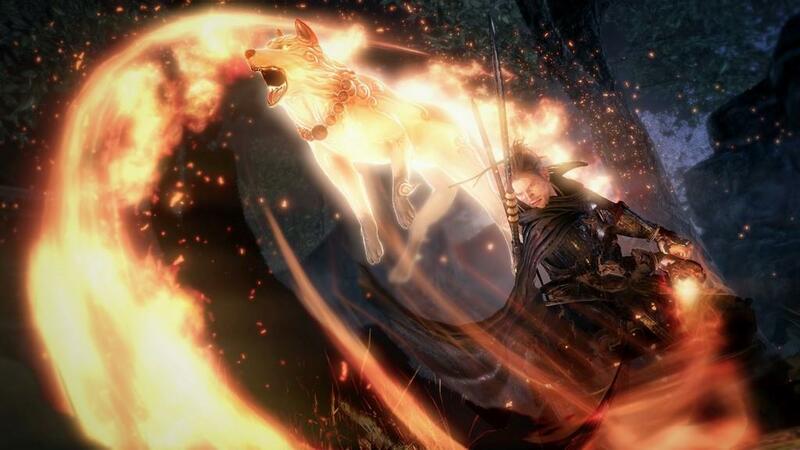 The best part of Nioh may not even be anything I mentioned above, but the fact that a player can team up with a friend for a true co-op mode to help take on the challenges that Nioh throws. Having a partner with you every step of the way brings a new element to this style of game and, while it helps ease up on the difficulty, it's still a hell of a challenge. I didn't get much of a chance to do the co-op, but what little I did try out, I thoroughly enjoyed. There's very little to complain about with Nioh, when it's all said and done. There's a solid story behind William's character and learning about what's going in Japan. Wrapped up in all of this is a fresh take on a genre that is wildly popular for those who want a challenge and are tired of cookie cutter adventure games. The difficulty is definitely hard even on the regular level, making those who want to truly torture themselves perhaps wishing they had opted for it instead of the hardest level out of the gate. The leveling system is good, albeit it could use a little more in depth tutorial to explain just what in the world you're doing from the get-go. And, not to mince words, but the world is absolutely stunning. Team Ninja outdid themselves with Nioh, and you're doing a disservice to yourself if you don't pick it up. A stunning take on feudal Japan awaits players with a fresh style of leveling, a unique battle system, and a challenge that will make even the most hardened players question what they're doing taking on this game.